Brain. 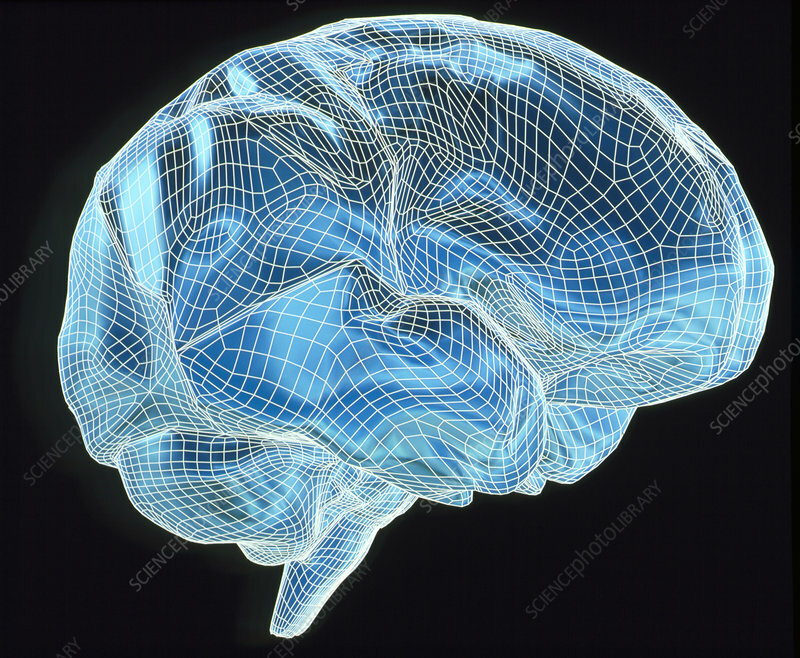 Computer illustration of a wire-frame model of a human brain. The front of the brain is at right. The main part of the brain is the cerebrum which controls conscious activity, sensation and thought. The brainstem (at the base of the brain, lower left) relays signals from the spinal cord to the brain and back through the spinal cord to the body.